The list of eight nominees has raised concerns in the Modi govt after a background check revealed 'integrity issues' and nepotism concerns. New Delhi: The Narendra Modi government is not too pleased with the list of eight lawyers submitted by the Punjab and Haryana High Court collegium for elevation as judges. While four of the candidates were either rejected outright or referred back by the Supreme Court collegium in an earlier elevation exercise, six are related to former high court judges or have served as juniors of lawyers in the Punjab and Haryana High Court who were eventually elevated to the bench. Meanwhile, a source told ThePrint that there was evidence to suggest “issues of integrity” with some of the nominees. A senior intelligence functionary, involved in conducting detailed background checks on judicial aspirants for the Centre, told ThePrint that they may send a “negative” report to the Supreme Court collegium, through the government, with regard to some of the candidates. Appointments to a high court involve the collegium of the court itself, the Supreme Court collegium and the central government. Once the high court collegium decides on a set of names for elevation to the bench, the list is forwarded to the Supreme Court collegium and the Centre. The central government conducts a background check on the nominees, and then forwards the report to the Supreme Court collegium for further action on the appointments. The Punjab and Haryana High Court collegium is headed by Justice Krishna Murari, and has as members Justice Ajay Kumar Mittal and Justice Mahesh Grover. The eight lawyers recommended for elevation include J.S. Puri, Suvir Sehgal, Girish Agnihotri, Kamal Sehgal, Punit Bali, I.P.S. Doabia, Vikas Bahl, and Alka Sarin. Of these, J.S. Puri, Suvir Sehgal, Girish Agnihotri and Kamal Sehgal hadn’t found favour with the Supreme Court collegium in an earlier elevation exercise. “While it is true that some of them were not rejected but their names were only referred back for reconsideration, it will be difficult to clear all of them due to various reasons,” said the aforementioned source. “There is material on record, including issues of integrity, with regard to some of them. But the Supreme Court collegium will take a final view,” the source added. The fact that many of the eight candidates are, directly or through marriage, related to former judges of the Punjab and Haryana High Court is also likely to weigh on the Supreme Court collegium’s mind, with allegations of judges’ kin getting preferential treatment in judicial appointments refusing to die down. While Puneet Bali is the son of former Chief Justice V.K. Bali, who later served as chairman of the Central Administrative Tribunal, I.P.S. Doabia’s father T.P.S. Doabia is a former judge of the Punjab and Haryana High court. Suvir Sehgal is the son of the late Justice D.V. Sehgal, who served as Lokpal in Punjab after his retirement, while Girish Agnihotri is the son of former Punjab and Haryana High Court judge M.R. Agnihotri (retired). The relationship of another candidate, Vikas Bahl, with a former high court judge, Justice J.L. Gupta, is also being underlined. Sources told ThePrint that at least one senior judge of the Supreme Court in the apex court collegium is aware of the antecedents of these candidates. Curbing nepotism was one of the reasons the Narendra Modi government got Parliament to pass the National Judicial Appointments Commission Act, which sought to replace the collegium system, but the law was set aside by a Constitution bench of the apex court in October 2015. 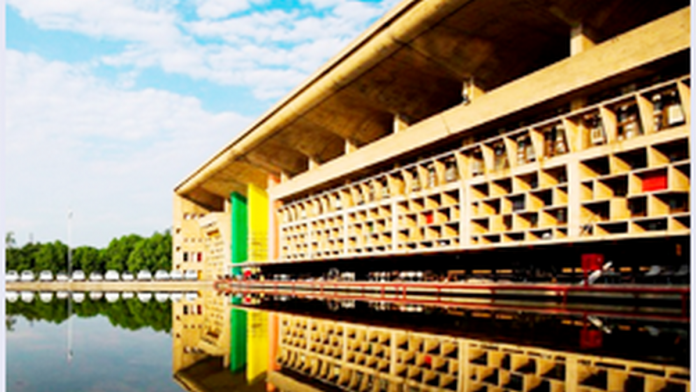 The Punjab and Haryana High Court, which has jurisdiction in the two states and the union territory of Chandigarh, currently has 53 judges, against a sanctioned strength of 85.